Delve into the history of Virginia’s largest lake and then learn the best ways to explore, love, and share it. 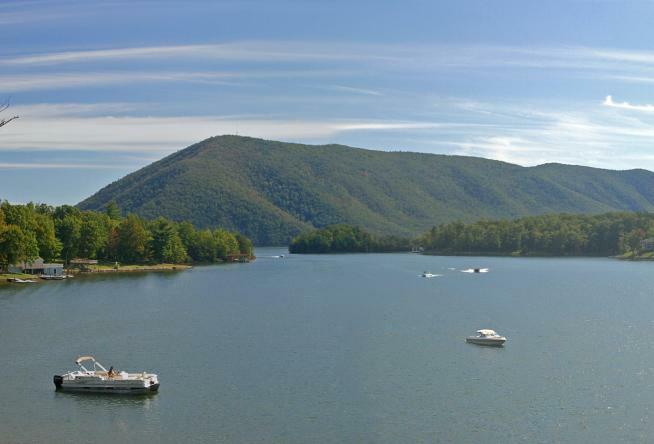 In 1960 at Smith Mountain Gap, construction began on what was to become Smith Mountain Lake. A hydroelectric project by Appalachian Power Co., the dam’s purpose was to create electricity from the Roanoke River. To make way for the rising water, communities were evacuated and those laid to eternal rest were relocated to higher ground. Surely the bottom of the lake would be an eerie sight for today’s eye, although diving is reportedly dangerous due to low visibility and potential entanglement. Rising 235 feet out of the base of Smith Mountain Gap, the dam walls were complete by 1963. On March 7, 1966, Smith Mountain Lake reached “full pond” status with 200,000 acres under water. 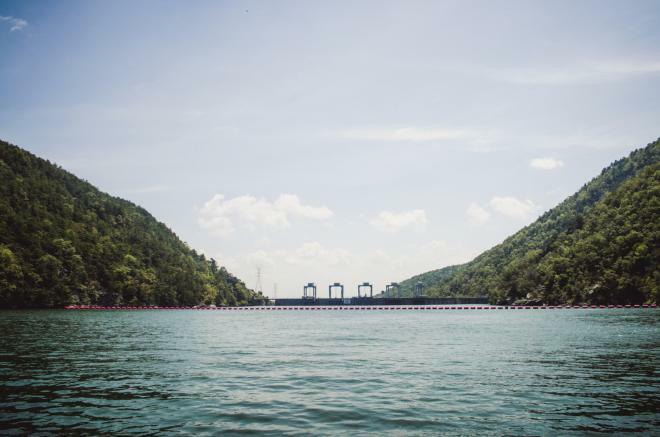 The dam can create up to 605,000 kilowatts of electricity. Take a look at these photographs of the dam in progress and after completion. Learn more about the history of the lake, today’s lakeside communities, and all of the great things to do in the area when you visit the Smith Mountain Lake Visitor Center in Moneta at Bridgewater Plaza. Smith Mountain Lake was front and center for 1991’s What About Bob? starring Bill Murray and Richard Dreyfus. With certainty, we can tell you no, the home at “Lake Winnipesaukee” was not blown up. Boaters with a keen eye can still spot the home when trolling along the Moneta shoreline one peninsula south of Bernard’s Landing. In 2012 Smith Mountain Lake had another day in the sun when Lake Effects filmed in Moneta. Starring Jane Seymour, the movie featured music by local bands, and the writer and producer is the daughter of a local SML couple. Three counties lay claim to their sections of Smith Mountain Lake, and why not? With more than 500 miles of shoreline, there’s enough of this beauty to go around. 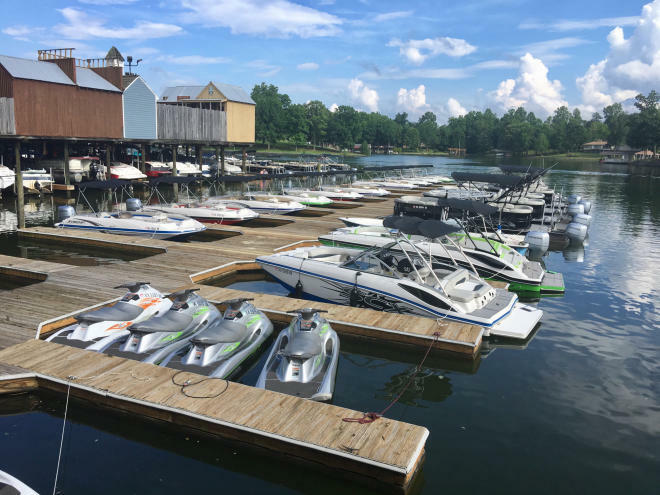 Key areas for travelers are Smith Mountain Lake State Park, Bridgewater Plaza and Bridgewater Marina, Crazy Horse Marina, Gills Creek Marina and Lodge, Smith Mountain Lake Community Park, Black Water Junction Wake Park, and Bernard’s Landing Resort. They’re ideal places for camping, fishing, swimming, hiking, biking, recreation on the water, dining, and overnight accommodation. Find a vacation home for the week or peep this suggested weekend getaway for ideas you can mold into your own. 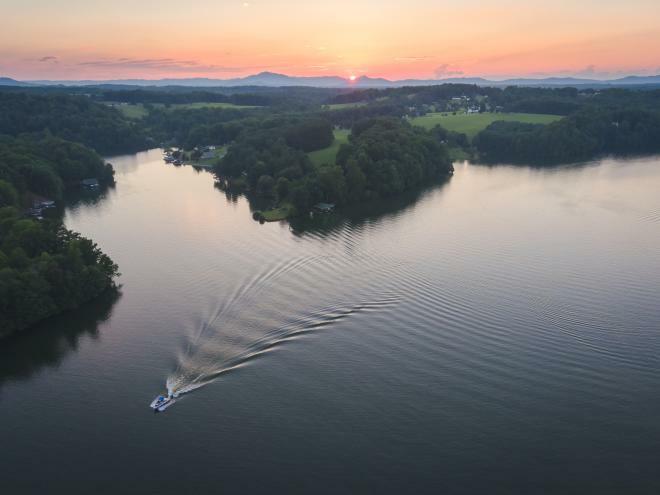 You’re guaranteed to love the #lakelife at Smith Mountain Lake. If it happens to be a rainy day when you’re visiting Smith Mountain Lake, never fear. We have a list of rainy day delights at SML to push you through to sunnier times. We’ll see you on the lake! Photography courtesy of the Smith Mountain Lake Regional Chamber of Commerce, Jenny Marie&apos;s Photographie, & Creative Dog Media.